| Tanzanite is a rare gemstone. Only produced from a single location in the world, the gem is known among connoisseurs and collectors for being one thousand times more rare than diamonds. Even more exclusive is prized AAA tanzanite. This gem represents the best-of-the-best regarding quality and beauty for this unique jewel. Join us as we uncover the story behind this stunning stone. Tanzanite is a relatively new gemstone, by our understanding. It wasn’t officially discovered until the late 1960’s. Found in the Mererani Hills of Tanzania, it was initially considered a cheap substitute gemstone. Shortsighted, early miners thought that perhaps it would make a suitable alternative to sapphire. 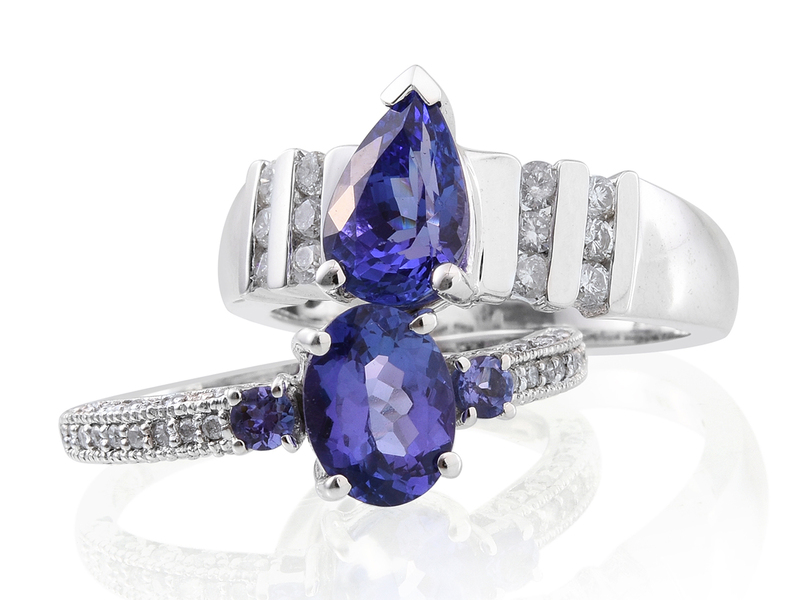 Tiffany & Co. is credited with naming tanzanite. The stone is named after its parent country, Tanzania. It is the blue to violet variety of zoisite. Tales suggest that “blue zoisite” sounded too similar to the phrase “blue suicide,” and might be detrimental to the gem’s future success. It wasn’t until the true depth of color and variety became known that tanzanite began to come into its own as a gemstone. Nowadays, the gem is prized for its trichroic properties, in addition to its stunning color. The best specimens display a dark blue, violet, or rich burgundy color depending on the angle from which it is viewed. A testament to its growing popularity, the American Gem Society introduced tanzanite as a recognized birthstone in 2002. This was the first change to the list of modern birthstones since it was first established in 1912! The majority of gems are graded on one of four levels, ranging from AAA – C. AAA Tanzanite is one of the very best grades available on the market! Estimates suggest that less than 10% of all mined tanzanite is of this grade or higher. AAAA – Less than one-percent of all material makes this grade. It’s reserved for the very finest quality jewelry, such as what’s found in Shop LC’s Iliana and Rhapsody collections. AAA – The general highest quality material available, reserved for the very best jewelry. It represents about five-percent of all tanzanite. This grade has a strong representation of blue and violet, with intense flashes of burgundy. Supply is limited as few gems make the grade. 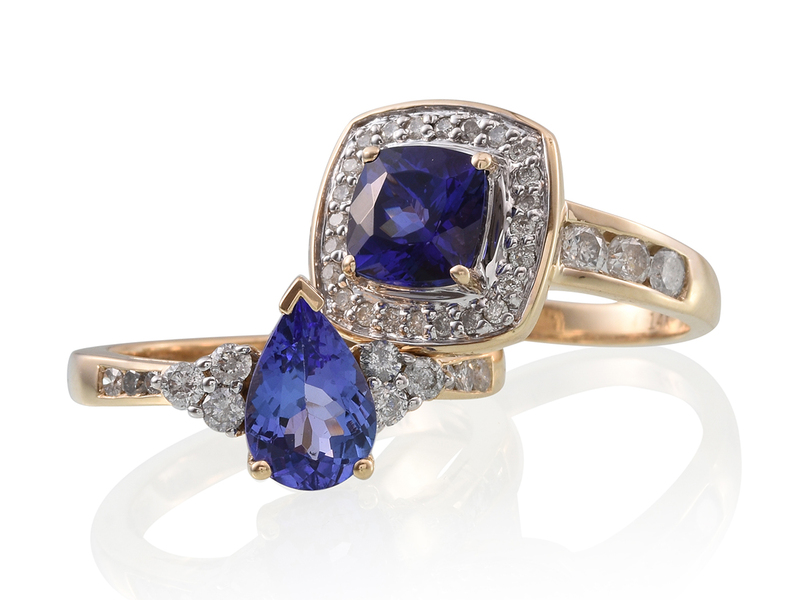 AA – The standard fine jewelry grade of tanzanite. Still very blue to violet in color, the trichroic properties are not as high as those seen in ‘AAA.’ This grade comprises about 20-30-percent. 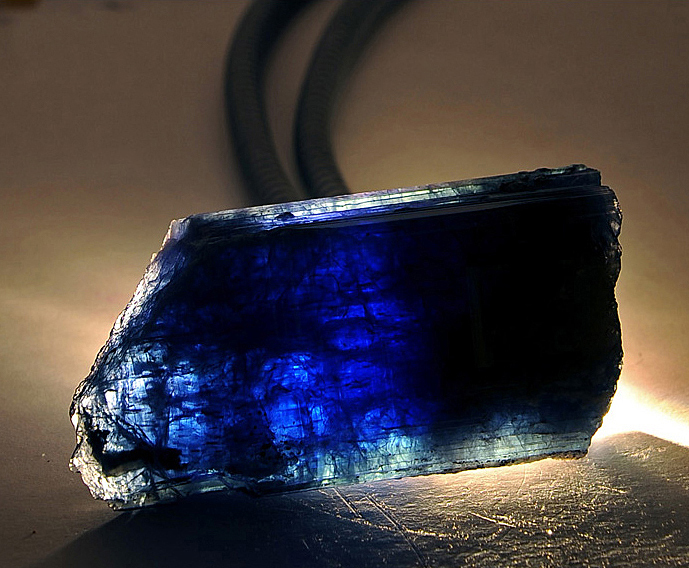 A – Lighter in color than ‘AA’ grade tanzanite, it may not possess all colors seen in the higher grades. The predominant color is lavender blue. This grade represents between 50-75-percent of the total tanzanite supply. Some inclusions may be present. AB – Stones of this grade possess a very faint light blue color and may be heavily included. The lowest grade of tanzanite, it is also the most abundant. Shop LC does not use this grade of stone in any of its jewelry. The majority of gems used in the jewelry trade are ‘A’ or ‘AA’ grade. 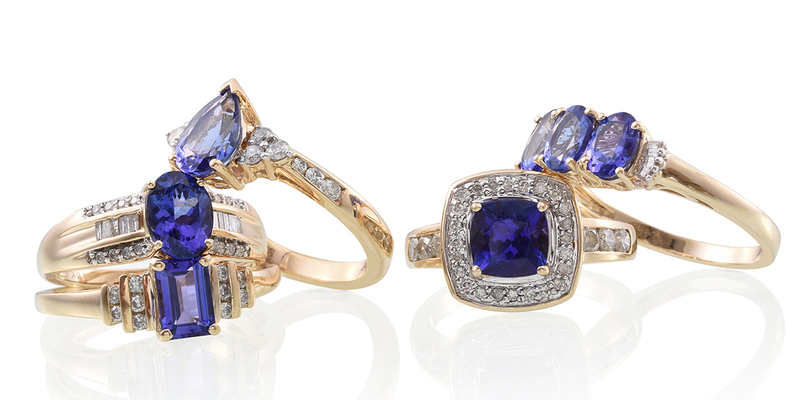 Only the finest and most exclusive pieces utilize premium Tanzanite, such as our Iliana or Rhapsody collections. Member of the zoisite group. Tanzanite is the blue to violet variety. The best specimens display a strong trichroic quality, showing deep blue, violet and burgundy colors. A single-source gemstone only found in Tanzania. Ranks 6.5 on the Mohs scale of hardness. A birthstone for December, alongside turquoise and zircon. The leading company behind the mining of tanzanite gemstones is TanzaniteOne. Processed rough is made exclusive to a select group of Sightholders, of which Shop LC (through STS Jewels) is proud to be a part. This guarantees Sightholders a steady supply of material for production, in exchange for taking all available mined rough. It’s through mutually beneficial relationships such as these that allow us to continue bringing the best prices to consumers. Ensuring mined tanzanite is conflict-free by adhering to strict labor laws. Improving local infrastructure, such as water supply. Education of students in the community. Within the last few years, the Tanzanian government secured a 50% interest in the company. This gives even more incentive for those wanting to responsibly buy tanzanite to go through TanzaniteOne. With government aid, these efforts see a greater impact than they may have through a purely private company. The area around Mt. Kilimanjaro, where tanzanite mining is done, is divided into four Blocks. These are organized alphabetically, from A – D. TanzaniteOne mines their supply of rough from Block C. Block C represents a significant portion of the mining area. Through mechanized means, extraction is efficient and consistent, satisfying a growing demand for this stone. Also, TanzaniteOne has licenses to potentially mine other nearby areas in the future. Occasionally, undermining from neighboring Blocks ‘B’ and ‘D’ can slow or even halt operations. Undermining is the process of illegally mining into a neighboring claim by digging into existing tunnels. These independent miners can sometimes pose a risk to the organized efforts of TanzaniteOne, requiring government intervention to restore order. As the highest grade of tanzanite, AAA tanzanite is consistent with its striking appearance, truly making it the “Gemstone of a Generation.” With expected supply to become exhausted in the coming decades, there are fewer opportunities available to own this fabulous gem. 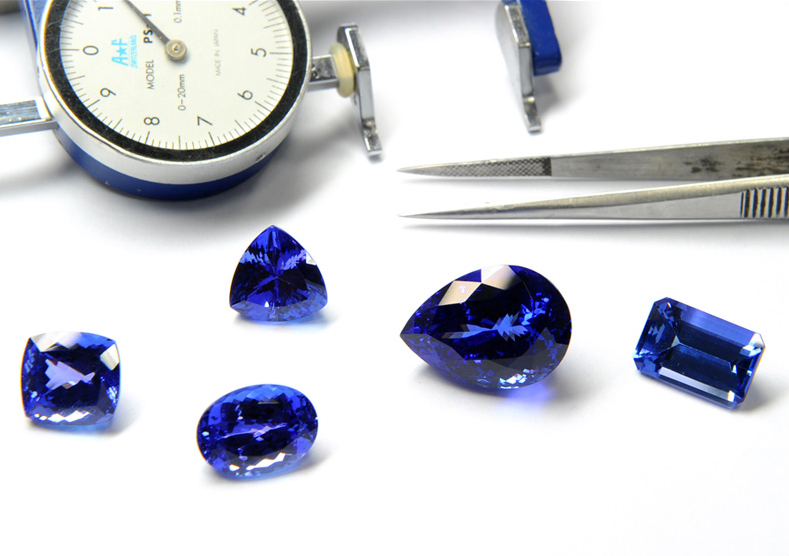 Gems of this grade will always be of the highest quality, featuring saturation of a deep blue and intense violet. Flashes of brilliant burgundy should be present when viewing the trichroic properties of the gem. Longstanding rumors persist that the best grade of tanzanite is produced through Block D. These are primarily attributed to an initial find of high-quality rough. Many experts suggest that the material was heated through a wildfire in the region, resulting in this enduring confusion. In truth, the high-grade material can be mined from any Block. Therefore, you may find AAA tanzanite jewelry of many sorts. 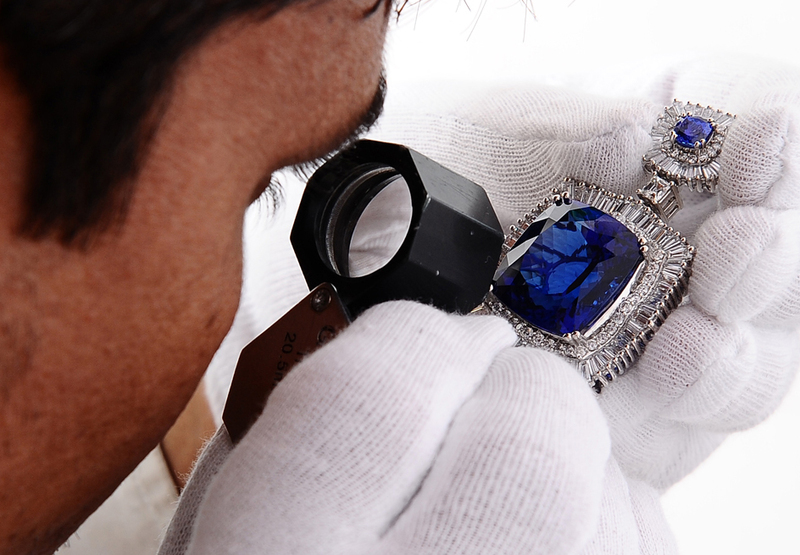 Collectors appreciate the natural beauty of this stone, while others consider AAA tanzanite to be investment pieces. What is your reason? Begin your journey and immerse yourself within the world of this tantalizing gem today. Previous post What is the Diamond Smackdown?